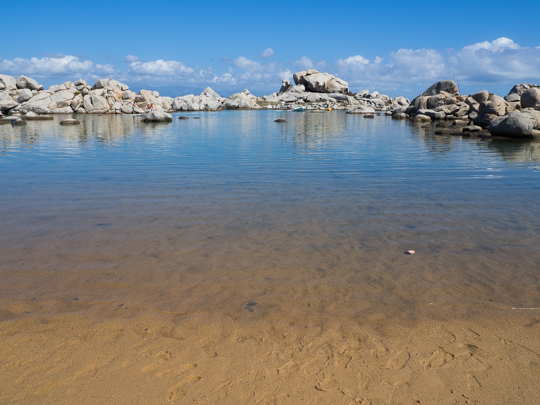 Last month, I promised a series of posts detailing my Corsica & Provence trip this summer. This is the first installment of these posts. 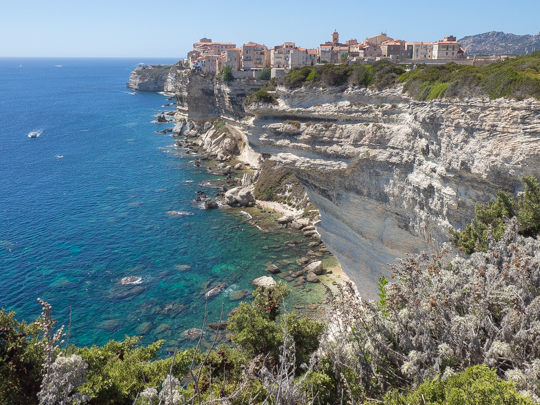 While we visited Bonifacio for two nights as part of a two-week trip, you could easily choose to visit this southern Corsican city as a weekend trip from Paris or from elsewhere in Europe. It’s a small city but with plenty to do between the boat trips, beaches, spectacular cliff walks and great dining options. We flew into Figari airport in the south of Corsica and rented a car. Be a bit wary of the Europcar here—check the car carefully and don’t settle for a car that isn’t new and what you reserved. Trust me, you do not want a large car in Corsica. The smaller the better. I don’t recommend driving in Corsica unless you are a very confident driver. We stayed at the Hotel Santateresa in the Quartier Saint François. The Santateresa is a great hotel for the price you pay. I had stayed at the Hotel Genovese on my last visit to Bonifacio and it was fabulous, but it’s easily twice as expensive and only a 5-minute walk closer to the center of the old (upper) town. The Hotel Genovese might be worth it if you are going to take advantage of the pool, but if you’re not set on having a pool, you can save a lot of money at the Santateresa. The breakfast was extra but well worth it. 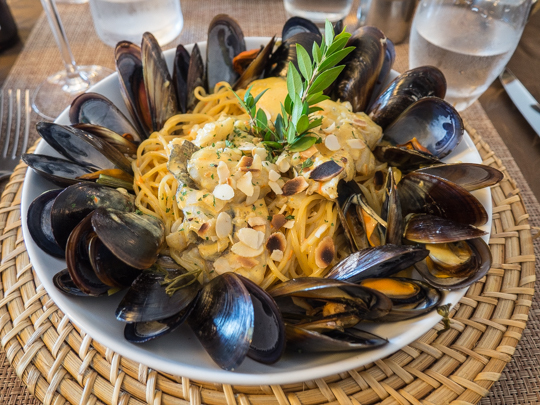 We ended up dining both nights at U Castille, because it was so good. Though the restaurant has multiple locations all near each other so it felt as though we went to two different restaurants. I highly recommend reserving one of the few balcony tables in advance. The morning of our one full day, we took a boat trip to the Lavezzi islands. 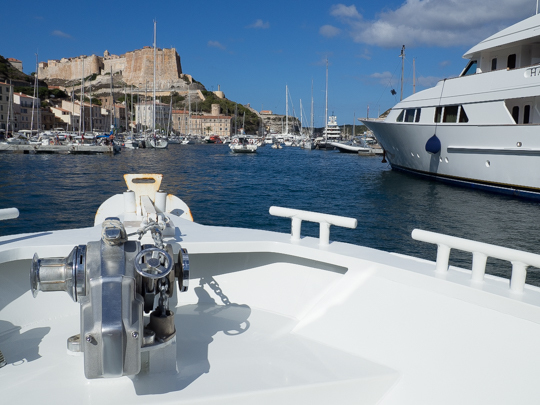 No need to reserve in advance—just go down to the port and there are always boats leaving. They will bring you to the island, then you have the option of taking boats back every hour throughout the afternoon. We chose to just explore for a couple of hours, swim and head back but if you bring your own food and water and beach gear (there’s nowhere to buy anything on the island and no shelter from the sun), you could stay all day. 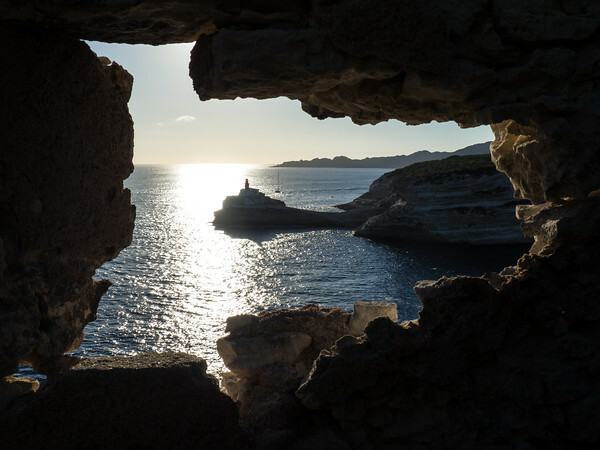 In the afternoon, we took the footpath from the old town of Bonifacio to the east, towards the lighthouse. You get spectacular views of the cliffs and of the old town looking back. Don’t forget that you can see all my photos from this trip here! More next week…. And I will post the full itinerary with my final post on Corsica & Provence.